My First Games Pte Ltd is an importer, distributor and retailer of premium quality Euro-style boardgames and educational products. We conduct talks to schools, parent support groups, homeschooling groups and corporate groups on the benefits of playing boardgames as well as speed demo sessions where we teach you how to play a selection of 10 to 20 games in a 3 hour session. Talks and Speed Demo Sessions are customisable. Enrichment classes centered around boardgames are also in the pipeline. 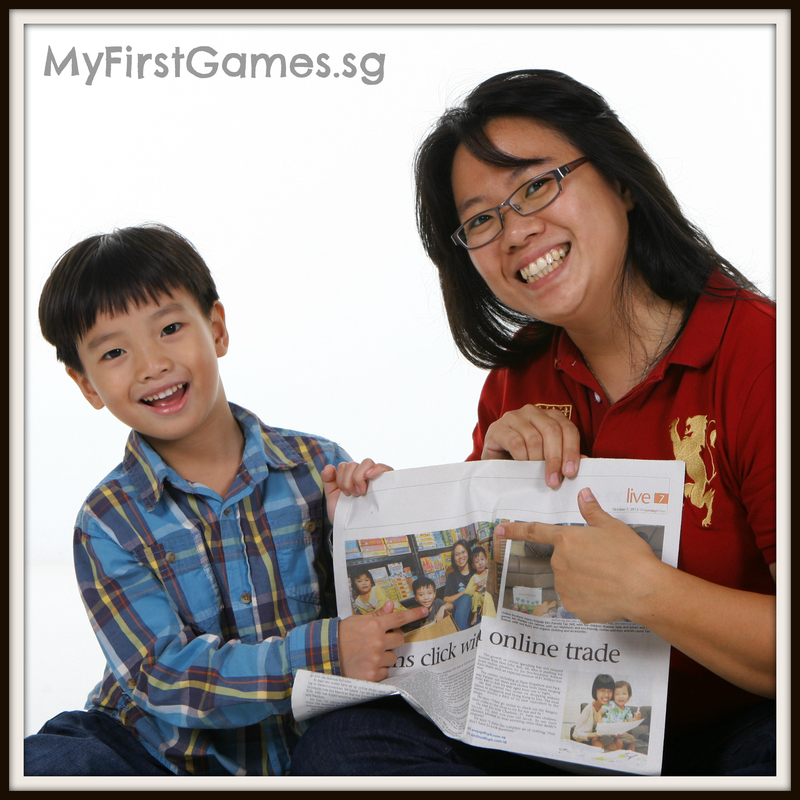 My First Games was started by Pamela Tan, a boardgames and construction toys enthusiast. A mother of three young children, Pamela has always been interested in boardgames as a child, but only discovered "Euro Games" or "German-styled Games" in the year 2000, when she spent six months in a Scottish university, on a student exchange programme. Intrigued by how beneficial playing boardgames is for both kids and adults alike, Pamela is determined to get her children hooked on playing boardgames as she can see how educational playing boardgames can be. The idea that kids can learn a lot, while having fun, and without knowing that they are learning, is very attractive. This is especially so in this day and age where school, studies and learning can be very painful and tedious, and not fun at all. Pamela started Isaac her firstborn playing boardgames when he was 17 months. Isaac through playing boardgames, has developed an attention span that longer than usual (for his age), and he is able to comprehend and play strategy games and win on his own merit. Amazed at this, many people started to ask whereabouts they could purchase such games, which were then unavailable in Singapore. Hence the idea of starting this business was mooted! :) Today, My First Games not only retails online the products we import, but we are also the exclusive distributors in Singapore for certain select premium brands. We also plan to conduct talks and start enrichment classes centered around boardgames and educational toys.